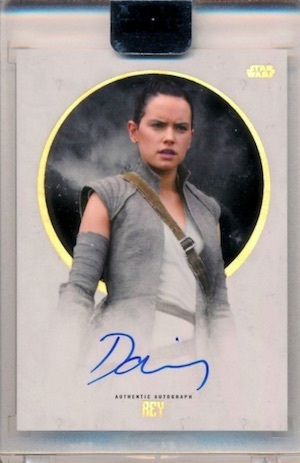 The ultimate Star Wars set in the galaxy is none other than 2017 Topps Star Wars Stellar Signatures. 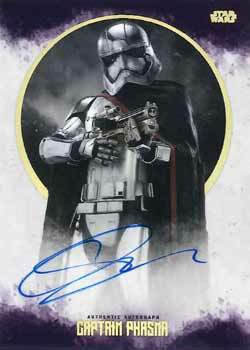 Featuring only signed cards for some of the biggest names in the Star Wars franchise, this might be the product you are looking for if you are willing/able to drop five figures on a box of cards. 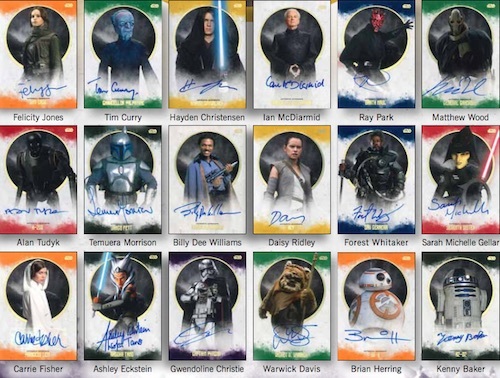 While Masterwork once claimed the title of most-premium Star Wars set, 2017 Topps Star Wars Stellar Signatures beats it by a hobby mile thanks to a price tag of $10,000 and just 100 boxes released. 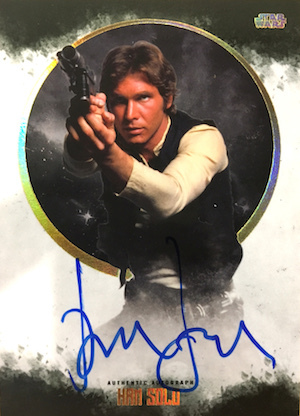 Of course, the goodies inside showcase considerable quality and rarity, including signed cards for Harrison Ford (Han Solo) and Daisy Ridley (Rey). 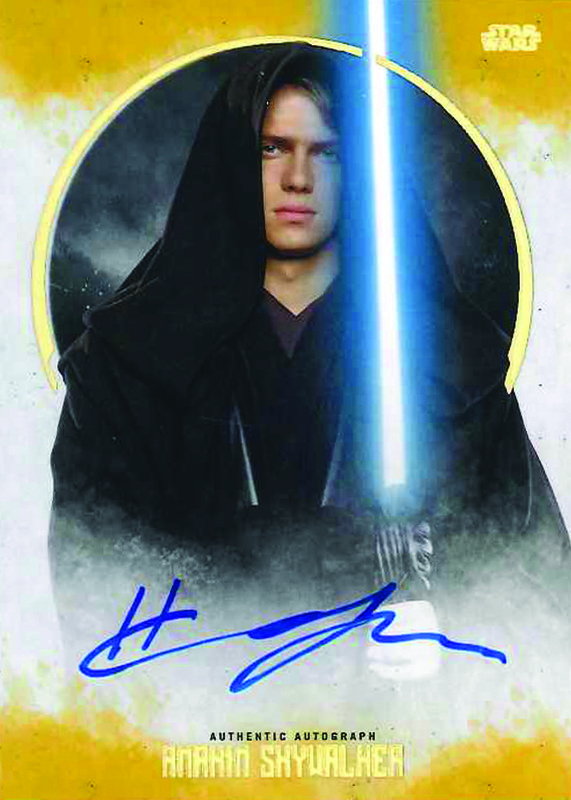 The 2017 Topps Star Wars Stellar Signatures checklist is naturally filled with autographs, and each box includes 40 cards that are printed on 48-point stock and slabbed for extra protection. 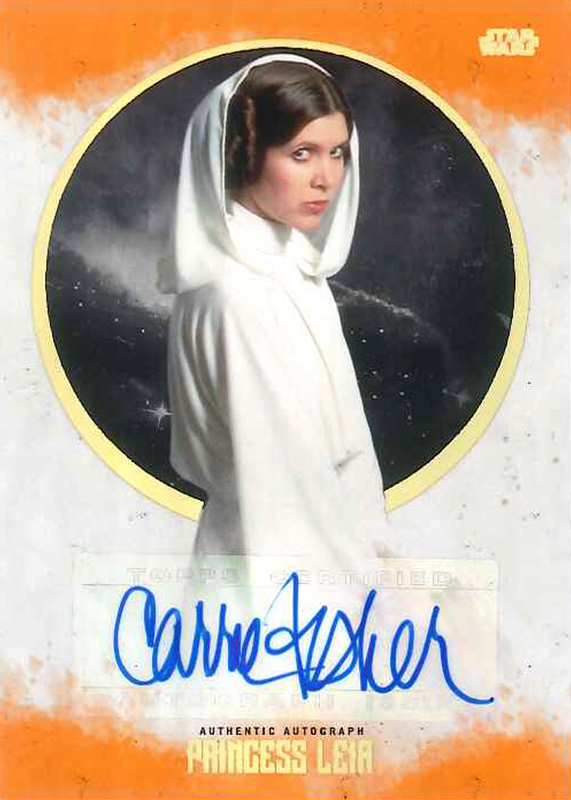 Although most of the autographs are signed on-card, Carrie Fisher is an exception. The Base Autograph edition stands at 40 copies, and low-numbered parallels include Blue (#/25), Green (#/20), Purple (#/10) and Gold (#/5). There are also one-of-one options with Galactic Black, Imperial Red and Rebel Alliance Orange. Every box contains a one-of-one parallel. 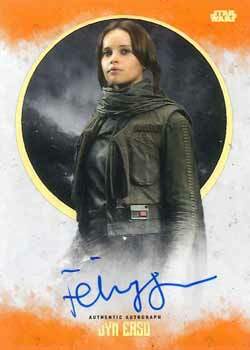 Confirmed signers tap into the old and new of the saga, with more names expected. 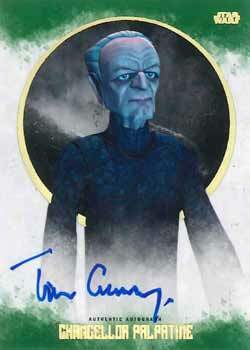 One well-known signer who might not immediately jump out as having a Star Wars connection is legendary actor Tim Curry, who supplied the voice for Palpatine in the animated Star Wars: The Clone Wars. 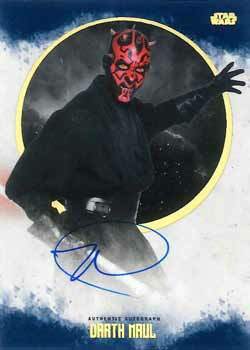 View Star Wars Stellar Signatures listings on eBay. 41 cards. Serial numbered #/40. PARALLEL CARDS: Blue #/25, Green #/20, Purple #/10, Gold #/5, Galactic Black 1/1, Imperial Red 1/1, Rebel Alliance Orange 1/1.